If your child has recently suffered injuries in a car accident caused by another party's negligence, there are some important issues to consider when filing a personal injury claim. The most common child car accident injuries are organ injuries, chest injuries, back injuries, and head injuries. Concussions and other forms of head injury should be of particular concern to parents of young children. A serious head injury can lead to lifelong problems affecting learning and memory capabilities. If not diagnosed and treated, even minor head trauma can impair your child's ability to succeed academically and professionally. 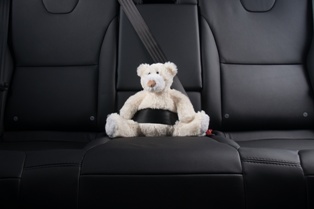 The highest percentage of child car accident injuries occur when a child is a passenger in a vehicle. However, children, due to their size and lack of experience, are very susceptible to being struck by a car when walking, biking, or playing near vehicles. Because of a child’s lack of understanding of the dangers of moving vehicles, children may get behind a vehicle when it is backing out, thereby resulting in serious injuries, even at slow speeds. When children are going to be outside near vehicles, in advance, parents and guardians need to teach and train their children to look both ways before crossing the street, to know what dangers to look for and to remain alert when they are anywhere near a street or driveway. When children are traveling in a vehicle, the responsible adult driver must provide age-appropriate car seats or booster seats. This is the best way to guard children against car accident injuries. California law requires children to be in the backseat of a vehicle, in a child restraint system, until they are at least eight years old. The fines for failing to secure a child in an appropriate child restraint system are very expensive and are completely avoidable if an adult takes reasonable care to protect the children in their vehicle. If you borrow a vehicle and it does not have a child safety restraint, as the driver, you remain responsible for the safety of the child and the ticket which could be issued for violating the law. What Happens After My Child Was In a Car Accident? Following a car accident where a child was in a car seat at the time of the collision, most insurance companies will automatically replace the child’s car seat out of an abundance of caution that the seat may have been damaged in the collision. More important, is the health of the child after a collision. It is vital someone immediately checks on the child following a collision. Many small children cannot express themselves, so they cannot tell an adult about any pain they are experiencing. Look for visible signs of damage or injuries to the child because these signs will help you communicate with a physician the possible source of injuries to the child. Then seek immediate medical attention and evaluation from an experienced medical professional who routinely treats children. Sometimes, injuries do not manifest themselves right away due to the adrenaline rush the body receives after a car accident. If the child shows any unusual characteristics, such as wincing to touch, unusual crying, nightmares, excessive sleep, confusion, lack of energy, limping or other outward signs of injuries, return to the doctor right away and report these symptoms, they may indicate more serious problems which require medical assistance. Insist on proper medical care for your child. If you have an attorney, communicate this information to your attorney so he or she can also direct you to appropriate medical care providers. Children are not held to the same standards as an adult. Adults are held to a standard of care of an ordinary reasonable person. Children on the other hand, are only expected to use the same care that a reasonably careful child of the same age, experience, and knowledge would normally use. A child under five is deemed entirely incapable of comparative negligence. The mere fact that a child may appear to have contributed to his or her own injury through negligence, a child may still recover damages for that portion of negligence which is attributable to the driver who may have also contributed to the child’s injuries. In California, the statute of limitations for a personal injury claim is generally two years from the date of injury. However, the rules change when a minor child is injured. For children injured in a car accident, the statute of limitations is delayed or tolled until their 18th birthday. This means the deadline for filing suit or settling the claim is at age 20. Be aware that the statute of limitation is not tolled or delayed when the person or entity causing the injury is a government agency or employee. The government claim statutes apply to a child’s claim just as they would with an adult. Although the statute of limitations is extended when a car accident involves an injured child, it is best for all parties to take prompt legal action. Aside from the financial burden of treating a child's injuries, evidence becomes more difficult to locate as time passes. When evidence is lost or witnesses are no longer around, the ability to prove the case gets much more challenging. California does not allow persons under 18 to be independent parties in a civil action such as a personal injury claim. The court requires a competent adult to act as the child's guardian ad litem for purposes of making decisions in the handling of the injury claim. Typically, the court allows one of the child's parents to be named as the guardian ad litem. However, another person over the age of 18 could also serve as guardian ad litem under the right circumstances. At the conclusion of a child’s case, such as at the time of settlement, if the settlement payment to the minor exceeds $5,000.00, California law requires a judge to approve the settlement of a child's claim. This is done to protect the minor from the inappropriate use of the child’s settlement funds. When the amount does not exceed $5,000, the funds can be disbursed to the parents for handling on behalf of the minor. In cases involving larger settlements, the judge will usually require that proceeds be held in a trust or secured annuity to be distributed at various intervals during adulthood. If the child has been left permanently disabled due to his or her injuries, placing the proceeds in a special needs trust can protect access to government benefits such as Medicaid, while providing the disabled child with funds on an as needed basis. Some parents want to manage the funds themselves or invest the funds in the stock market. The court will not allow a parent or legal guardian to improperly access any portion of a personal injury settlement or allow it to be exposed to risk of loss. Parents may be compensated for the financial losses directly suffered by them, such as out-of-pocket medical expenses for the child's injuries, but the court will limit the use of a child’s fund for expenses not directly supporting the child’s needs. Releases of funds after settlement most often need court approval before the money can be used for the minor. Our dedicated Rancho Cucamonga car accident lawyers at Inland Empire Law Group has helped many parents protect the rights of their children who have suffered car accident injuries. Call (888) 694-3529 right away to schedule an appointment at our Victorville or Rancho Cucamonga office locations.